Learn how to navigate the org chart. 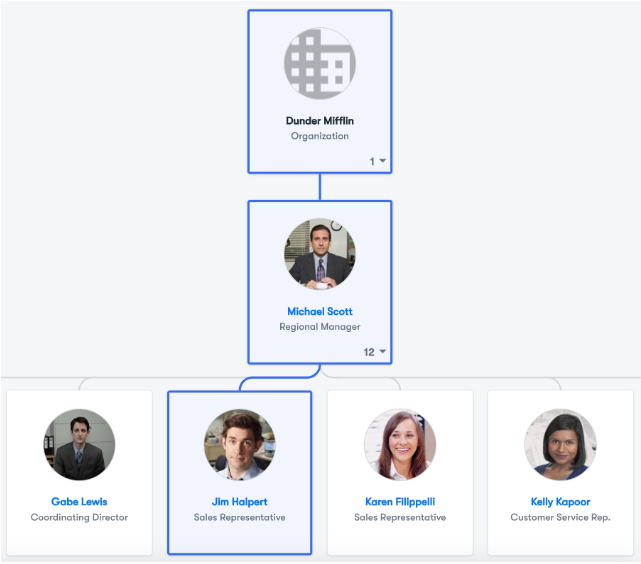 To start using your companies org chart you will have to navigate to the Employee directory page and click on the button with the three dots in the top right corner. You don't see this button? Not to worry! You may have it disable. Simply head to Roles and Permission in your Company Settings and select the Org Charts box under Features. There are many ways that you can navigate your org chart. You can easily move around by click and drag or scrolling. You can use the + - buttons in the bottom left corner of the screen to zoom in and out. You can easily download you Org chart by selecting the download button in the bottom left corner of the screen. You can also view and download targeted sections of a specific part of the hierarchy! Click on the box in the top left corner of your screen. 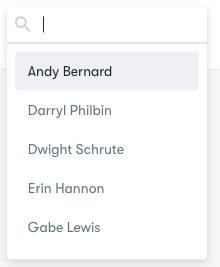 You can search for an employee, or scroll through the drop down list. When you select someone from the list the org chart will change to view that employee, and everyone under them. 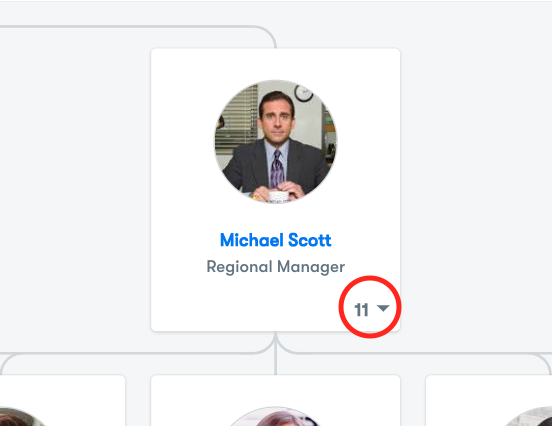 You can collapse branches in the chart by selecting the small arrow under an employees name. Next the the arrow the number of employees report to that person is displayed. You can easily see who an employee reports to by clicking on them. This will highlight the direct reporting flow for that employee. If you ever want to return to the full Org chart, simply the refresh button in the bottom left corner of the screen.